Is China Actively Committing Genocide Against Chinese Muslims? The Province of Xinjiang in China (an area half the size of India) is home to an estimated 22 million people belonging to various ethnic minorities. The largest of those ethnic minorities are the Uyghurs, which is a Turkic ethnic minority that is recognized generally as a Muslim minority, that makes up around eight million people. Just to give you some perspective, out of the 327 million Americans that live in the United States, there are an estimated 3.3 million Muslims. 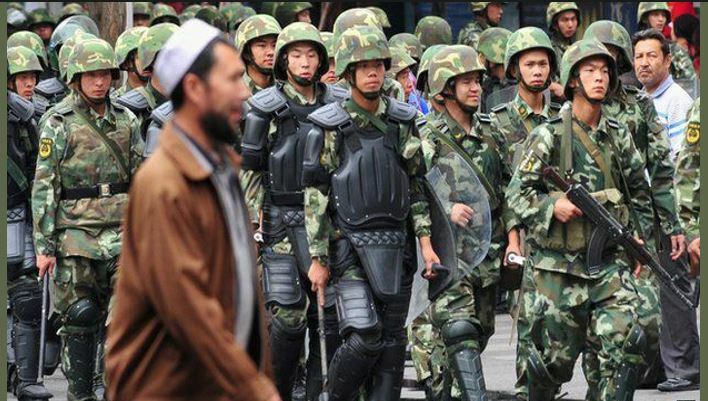 Unfortunately, within the past few years, the Chinese government has been waging their own war on terror on the Muslim population, and since 2016 these so called “security” measures have become violent and extreme. To my utter shame as a Muslim, it’s largely not been discussed in the mainstream media — even in Muslim media — which only illustrates just how successful the oppression of our Chinese Muslim brothers and sisters actually is. The most alarming of these new government movements against the Muslim population includes the $108 million that has been spent building internment camps in which police forces carry out the “reeducation” of the Muslim minority. The more I researched what was happening within this province, the more I realized that it actually takes very little for the government to feel the need to arrest you and send you to these Internment camps, and since the surveillance in this region is highly advanced very little expression of Islamic identity is permissible before you get taken. But I soon realized that this war on religion and ethnic diversity had long since developed beyond the borders of the internment camps. This isn’t just a matter of illegally detaining, brainwashing, and torturing one million Chinese Muslims. This is a matter of carrying out the successful oppression of eight million Chinese Muslims, and forcing them into a state of fear so that they no longer feel safe practicing their religion, questioning their government, or even speaking their own language. I think one of the most terrifying things about this egregious violation of human rights is that this is not a short term plan with short term effects. The Chinese government is dedicating millions of dollars to the destruction of both religion and ethnic identity for multiple generations with the explicit intention that not a single Muslim will be left in China’s future! When a government goes out of its way to beat the religious education out of its students, to shame the women out of the modesty they choose to display and force them to conform, to forbid the religious naming of the newborn children and terrorize those who speak their native language, to force the education of an ideology and the destruction of a way of life we are no longer witnessing a case of reversible discrimination — we are witnessing genocide. The intent is clear. It has taken two years for China to round up one million Muslims and force them into these internment camps with absolutely no way of knowing when they will be released, and the Chinese government has largely gone unchallenged. There is nothing stopping them from rounding up the next seven million. This is why we need to speak up. This is why we need to start creating noise about these atrocities and calling for international action to halt the targeting of our Chinese Muslim brothers and sisters.